ABOUT THE BOOK: In the tradition and values of C. S. Lewis, with mental warfare on the scale of Asimov's Foundation and Empire, and featuring gripping battles and surprising twists reminiscent of Orson Scott Card's Ender's Game, Primal Screams is a thought-provoking, heart-pounding science fiction adventure that explores the essence of good and evil, while tackling profound ethical dilemmas of our time: cloning, planetary conservation, biological agents, nanotechnology, faith and family. Unexpectedly caught in the middle of a centuries-old conflict between two warring empires, Zach Marshall defeated a cunning and ruthless Krontor captain-Crimson-and saved Earth and Ptain from her nano-engineered plague. But the price was high. While Zach was revered by billions on two worlds, everything he loved had been taken from him, and his faith had been shaken to its core. In the aftermath that followed, Zach had journeyed to Ptain as Earth's ambassador to try to secure a future for humanity (and himself), and Crimson had gone rogue in search of Zach and Earth and revenge. Primal Screams (Book One) is the story of Zach Marshall's struggle to overcome his personal demons, while searching for the faith and courage to once again face his nemesis and the future. Nothing is as it seems in this high-stakes interplanetary game of power and intrigue. In the epic battle that ensues, Zach must face Crimson in a very personal battle and in a desperate race against time to save everything. ABOUT THE AUDIO: This professionally narrated audiobook contains several MP3 files which are bundled together in a single easy to download ZIP file. After your purchase is complete, an email with a special download link will be emailed to you. Just click the link, download the audiobook ZIP file, unzip the contents and load the MP3 files to your favorite MP3 Player such as your iPad, iPhone or other MP3 compatible player. Then Enjoy! Be advised that the ZIP file is very large and requires a highspeed connection to download properly. "I've said it in my note, but I'll say it again here. Primal Screams is fantastic! Probably the best novel in this genre I've read in a very long time indeed, and I read quite a few.... Everything works well; it is extremely well put together. The whole idea is excellent and brilliantly thought out. The characters are great and all with their own individuality, and the descriptive is first-rate. I really can't praise it enough." Bart Dahmer was born in West Virginia and spent his formative years in Louisiana near the Gulf Coast/Texas border. While pursuing his graduate education, he spent time in Kentucky, Colorado, Tennessee and Missouri. 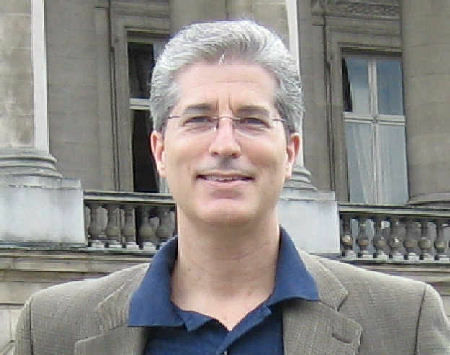 Bart has earned a number of professional honors and is an international speaker. He has enjoyed traveling within the US, Europe, India, and Asia and is an avid lifelong learner. Bart holds a certificate in employee relations law from the Institute of Applied Management and Law, a master's degree in Industrial/ Organizational Psychology, a master's degree in Computer Information Systems and a doctorate in Human Resource Development from Vanderbilt. His dissertation research focused on key factors influencing the successful implementations of large, technology-based projects. Bart is a born-again Christian. He is an ordained deacon and a Gideon and supports evangelical missions. He lives with his wife and two children near Memphis, TN.